Chris Menges of Weta Workshop. Tomas LeMarquis. Loren Peta as Rachael 2.0. Shoulder of Orion: The Blade Runner Podcast was granted exclusive access to major players in Denis Villenueve’s masterpiece, Blade Runner 2049. The information discussed in these interviews is not available anywhere else. 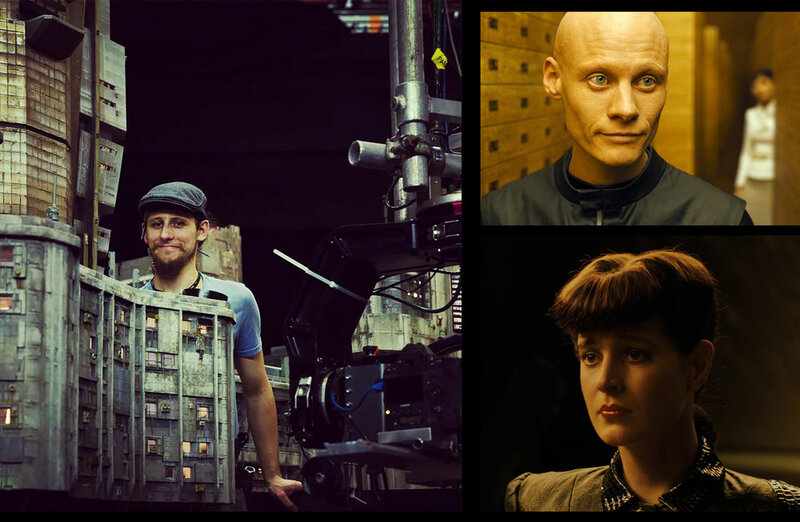 Weta Workshop’s miniature team, featuring Steven Saunders, Joaquin Loyzaga, and Chris Menges (pictured above), along with Rachael 2.0 star Loren Peta, and Tomas LeMarquis who performed Wallace Corp’s File Clerk opposite Ryan Gosling’s Officer K. Each interview provides unfettered access to the top secret behind the scenes process that would bring Blade Runner 2049 to life. Shoulder of Orion: The Blade Runner Podcast is the only Blade Runner podcast of its kind, offering heady discussion on the themes, characters and processes of both Blade Runner and Blade Runner 2049. For access to our repertoire of episodes and discussions check out our main site or find our episodes through iTunes, Spotify, Podbean, TuneIn or Google Play. Shoulder of Orion: The Blade Runner Podcast was formed in August of 2017. After not finding an outlet of discussion for the Blade Runner films, podcast founder Jaime Prater decided to answer the void with an official fan podcast covering all things Blade Runner and Blade Runner 2049.